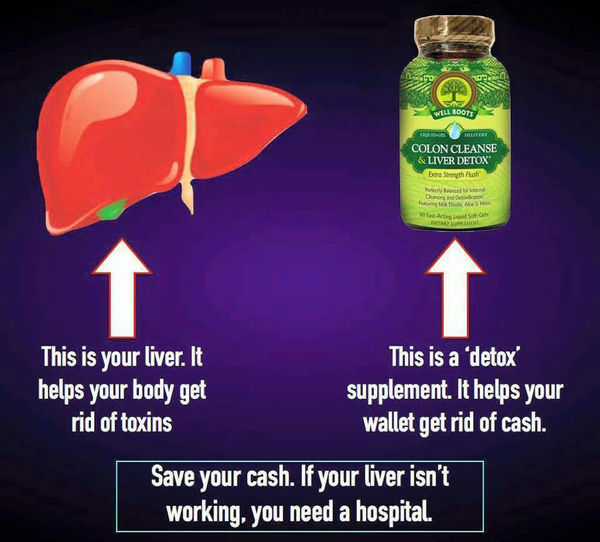 This is your liver. It helps your body get rid of toxins. This is a 'detox' supplement. It helps your wallet get rid of cash.